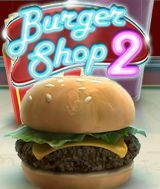 Download Burger shop 2 for free at FreeRide Games! In Burger Shop, your aim was to build an impressive empire of fast food restaurants using the amazing BurgerTron 2000 machine, but in Burger Shop 2 you begin the game having just woken up in a dumpster with a bump on your head and no idea why all your restaurants seem to have been shut down! When a dodgy character appears out of nowhere and offers to sell it back to you for a dollar, you don't think twice. Now you must retrace your steps, figure out what went wrong and restore your restaurant empire back to its former glory. If you loved Burger Shop, you can expect just as much Time Management fun in Burger Shop 2, along with new menu twists (breakfast, lunch and dinner are now all available! ), new characters, lots of humor and an engaging storyline. The basic principles of the sequel are the same as in the original: As customers arrive - some familiar and some colorful new characters too - you must deliver their orders as efficiently as possible to encourage as many tips as you can which you can then use to expand and improve your restaurant. 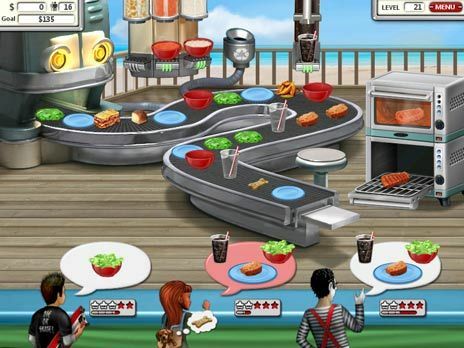 The pace of the game is challenging and with new elements being introduced throughout the whopping 120 levels, Burger Shop 2 is sure to keep you entertained for hours.